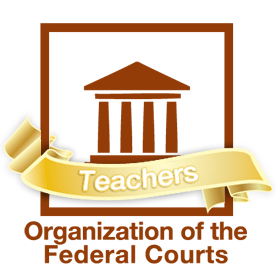 Organization of the Federal Courts will take you and your students on a journey through the judicial branch of the federal government. With the help of this section, you’ll know how each level of the court system contributes to the administration of justice. This section explains the kinds of cases the court will hear as well as explaining the process by which judges are appointed. This section will also help you to understand the organization of the federal courts, the role of the Supreme Court, and the importance of judicial independence. The student material for Organization of the Federal Courts can be found in our Online Student Center. Use this section to teach about how the federal courts are organized, and how a case works its way through, all the way up to the Supreme Court. These activities help students use the content on our student center pages to solve problems. Use this section to teach about the United States Supreme Court. Use this section to learn more about the duties and responsibilities of federal judges. These lessons will ask students to build on the student content of the web site, as well as Articles I, II, and III, to evaluate what it takes to be a judge. Use this section to teach about the importance of an independent judiciary. The activities require students to apply what they learn on the student center pages to identify and discuss what might happen if the courts were not an independent branch.